Playworks is the leading national nonprofit leveraging the power of play to transform children’s social and emotional health. We create a place for every kid on the playground to feel included, be active, and build valuable social and emotional skills. In 2017, the Federal Department of Education commissioned the RAND Corporation to review all evidence-based social and emotional learning programs in the country. This review found that Playworks leads to five outcomes directly associated with stronger school climate and safety; we had a statistically significant impact on bullying, inclusiveness, student safety, student use of positive language, and student ownership of recess activities. Additionally, RAND found that Playworks improves three other competencies: class readiness, on-task behavior, and transitioning from recess to learning. Connect with us to learn more about how Playworks helps reclaim class time, get students active, build social skills and increase school safety. Recess Lab is a FREE​ online learning lab that Playworks designed with principals from across the country to help schools re-discover the power of play. We’re sharing tools and games that develop kids’ social skills, on and off the playground, and offering a Recess Checkup—a brief online quiz—so schools know how they’re doing. Playworks partners with schools, districts, and after-school programs to provide a service or mix of services including on-site coaches, professional training for school staff who support recess, and consultative partnerships. 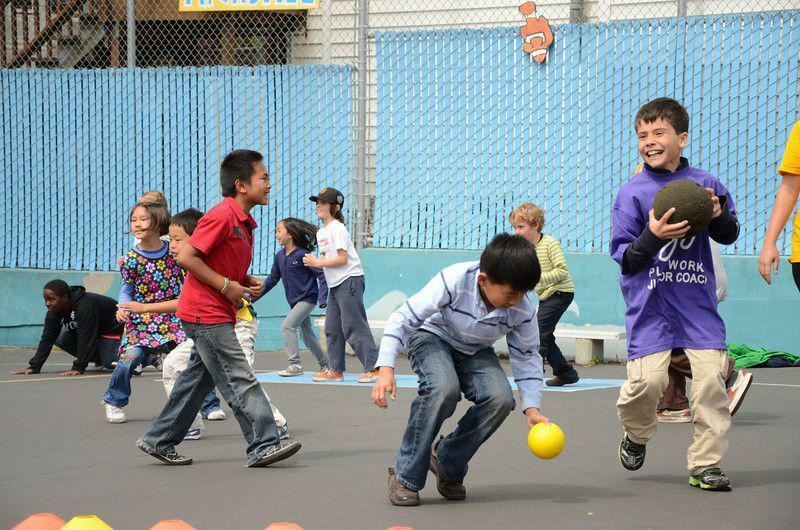 Collaborate with an on-site Playworks recess expert to empower your playground team. Playworks partners with elementary schools by providing an on-site coordinator to teach, model, and empower a sustainable recess program. Build capacity for positive play with Playworks professional development. Playworks Pro provides professional training and ongoing development to school staff, paraprofessionals, and after-school care providers to create and maintain a great recess and play environment throughout the school year. "We’ve gone from kind of dreading teaching the period right after recess to it being a very productive academic time." "I believe the ‘cliques’ have been served notice. Inclusiveness is the operative word. There seems to be an increased sensitivity to try and draw the fringe students into whatever the activity. They are less content to leave their classmate behind." "By emphasizing responsibility, tolerance, conflict resolution and inclusive play students are better equipped to handle social situations. Moreover, the amount of time spent on discipline has been reduced and instructional time-increased!"